Kuala Lumpur (VNA) – Vietnamese athletes added just one silver to the country’s stock as of noon August 26, maintaining the second position on the SEA Games 29’s medal tally with 43 gold medals. 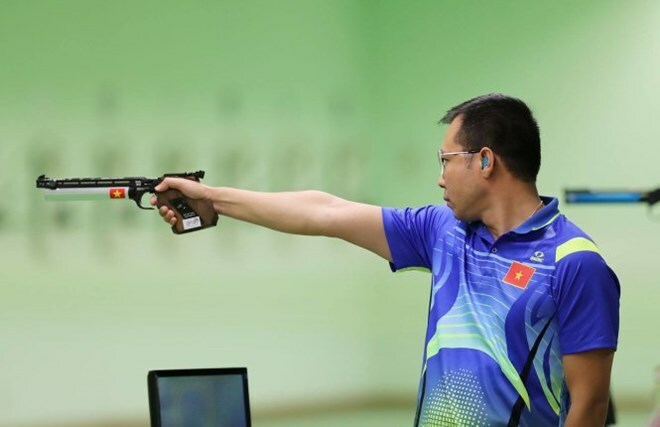 The silver was earned by shooter Hoang Xuan Vinh in the men’s 10m air pistol event, bringing the total silver medals of Vietnam to 30. Meanwhile, the number of bronze medal remained the same, at 34.